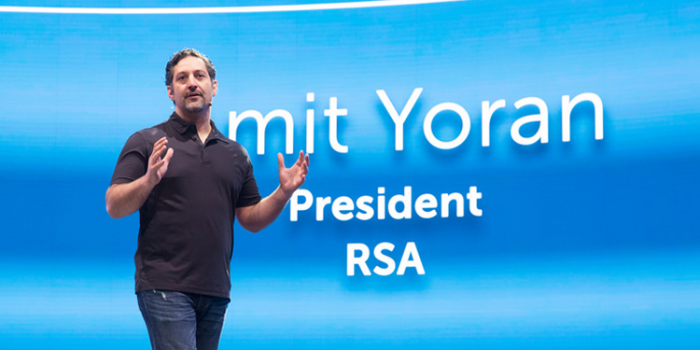 RSA Conference (RSAC), the world's largest gathering of information security and cybersecurity experts, concluded its 25th annual event last week at the Moscone Center in San Francisco with a record number of more than 40,000 attendees. Keynotes, sessions and debates focused on the Internet of Things, industrial control systems, encryption, artificial intelligence and machine learning, crowdsourcing, healthcare, automotive and more, with many reflecting current industry news. According to Citrix CSO Stan Black, “RSAC 2016 was a strong reiteration of the message that the industry needs a more comprehensive approach to ensuring information is secure regardless of platform. As security professionals, we’re responsible for ensuring information is protected regardless of device, platform or operating system. We don’t just use one, we use all solutions: cloud, mobile, network, data center, SaaS. "Businesses need a method to ensure control between traditional infrastructures, cloud and mobile to establish trust with the customers. To get out of a reactive state and into proactively defending data, companies have to look for solutions that enable a control plane. Without it, there is no single source of trust," Black said. BT and Intel Security are partnering to bring together BT's security intelligence with Intel's advanced security tools in real time. As expected, the recent Apple/FBI case sparked much debate on privacy vs. national security, particularly during the Cryptographers' Panel. Addiionally, Tripwire, a provider of endpoint protection and response, security and compliance solutions, conducted a survey of RSAC attendees and found that 81 percent of respondents said it is either very likely or certain that cybercriminals would abuse the government’s capability to access encrypted data if technology companies are required to provide it. Upcoming RSA Conferences include Asia Pacific & Japan on July 20-22, 2016, at Marina Bay Sands in Singapore and Abu Dhabi on Nov. 15-16, 2016. RSA Conference 2017 will take place Feb. 13-17 at the Moscone Center in San Francisco.